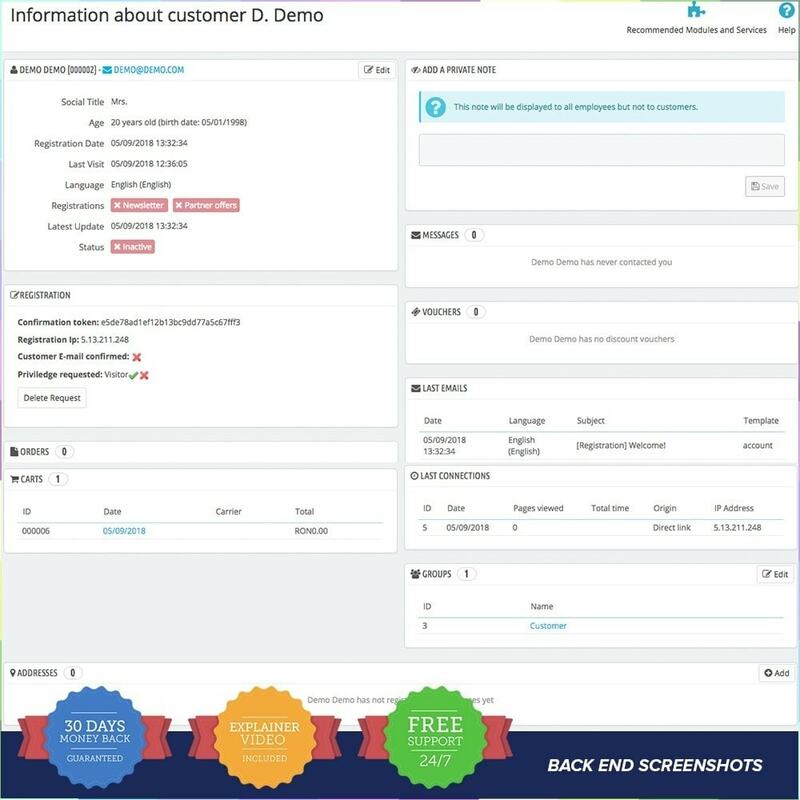 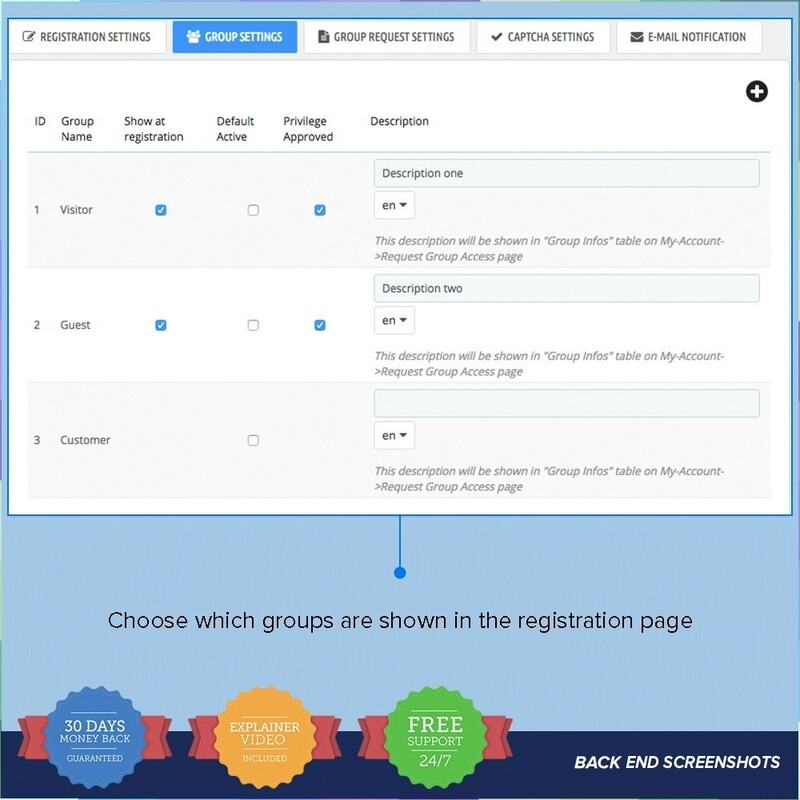 Customer Groups Registration PRO Prestashop module will help you differentiate your clients. 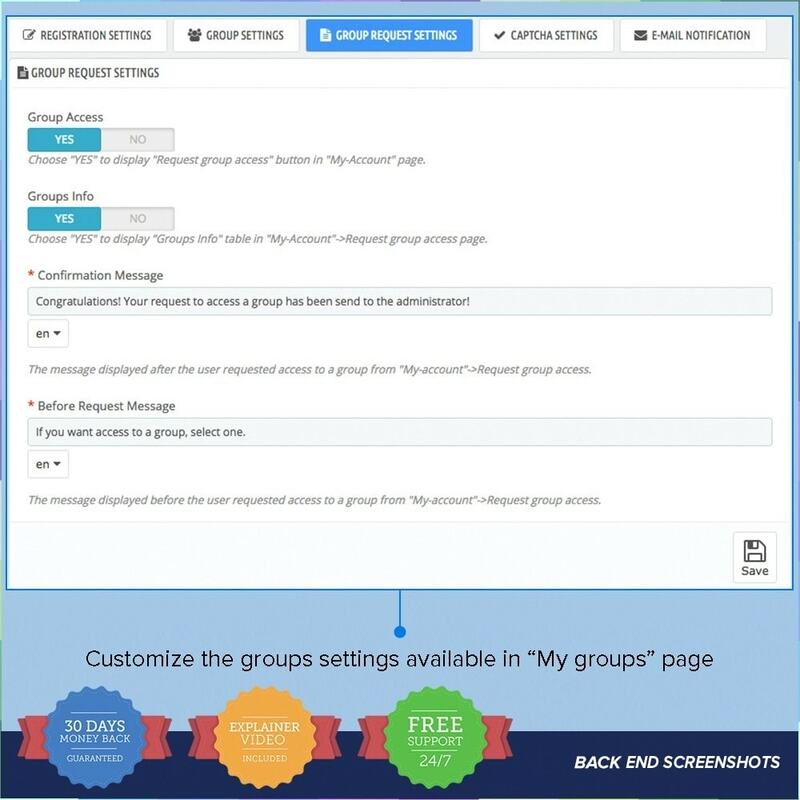 You will be able to create custom groups that will filter your clients by preferences, countries, budget, etc. 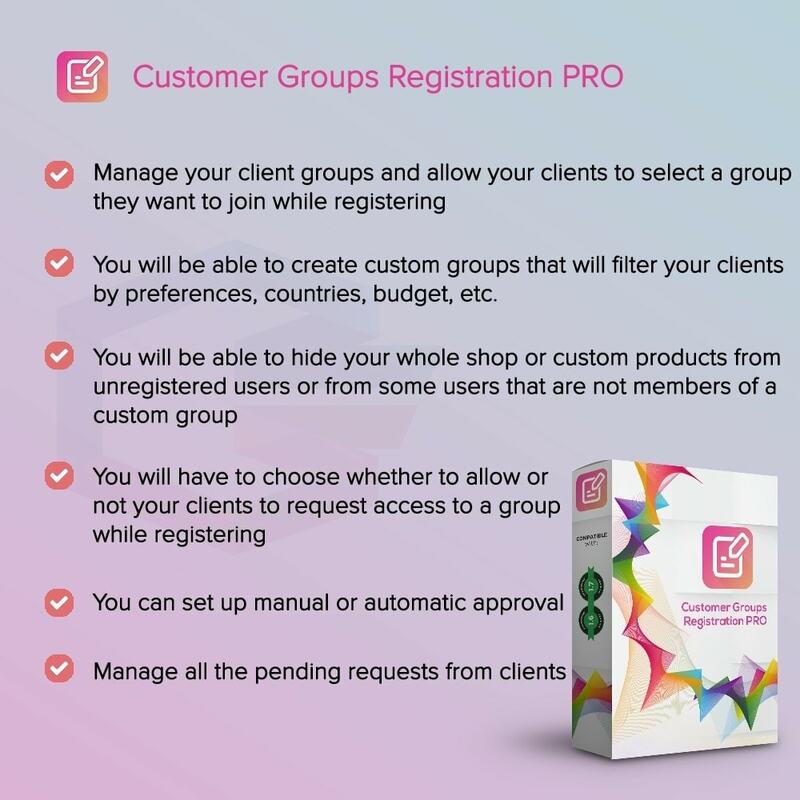 You will be able to hide your whole shop or custom products from unregistered users or from some users that are not members of a custom group. 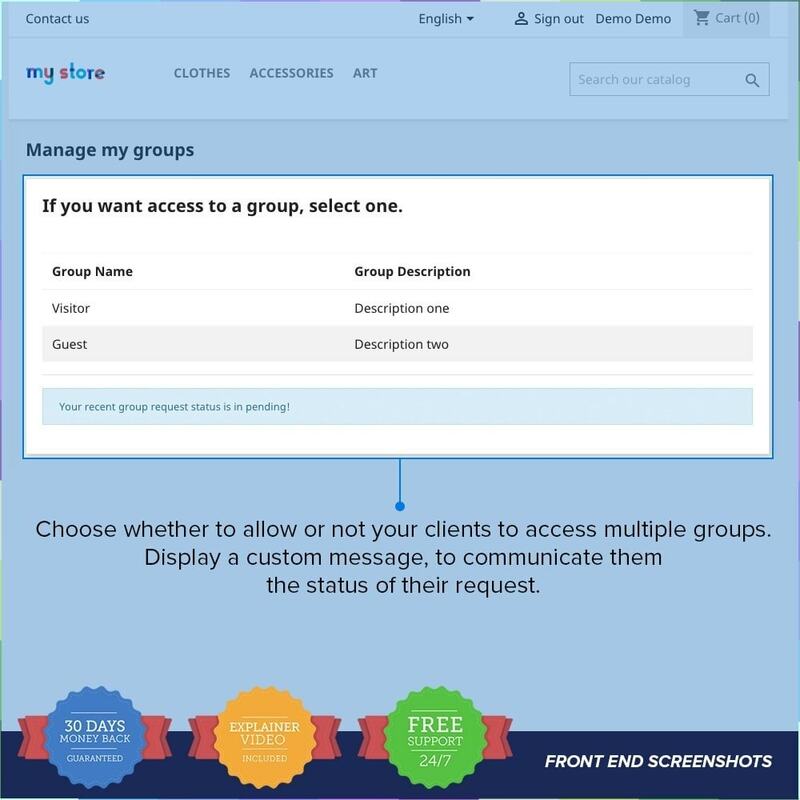 You will have to choose whether to allow or not your clients to request access to a group while registering. 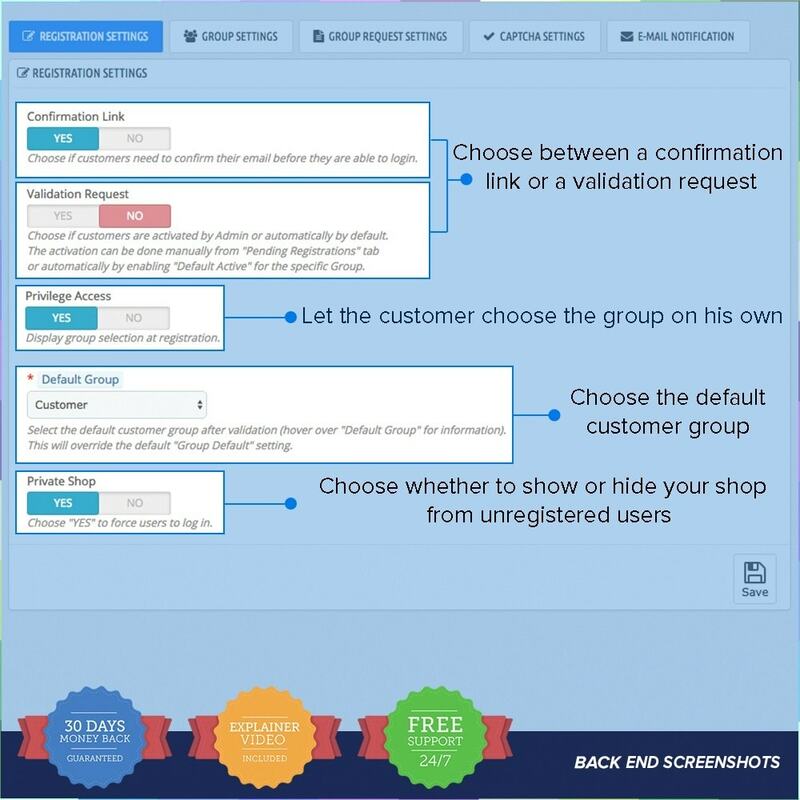 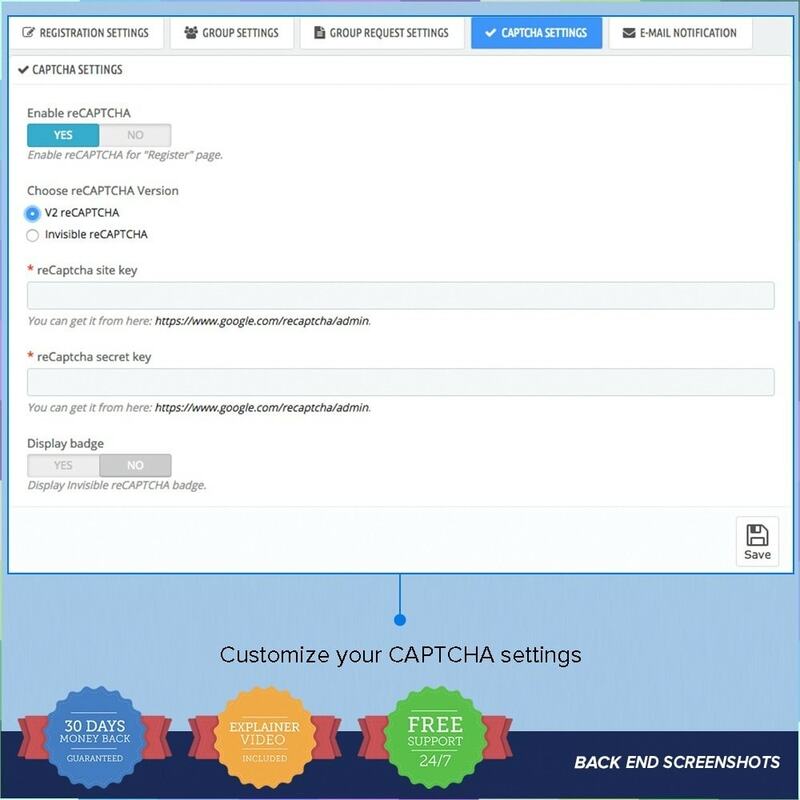 You can set up manual or automatic approval. 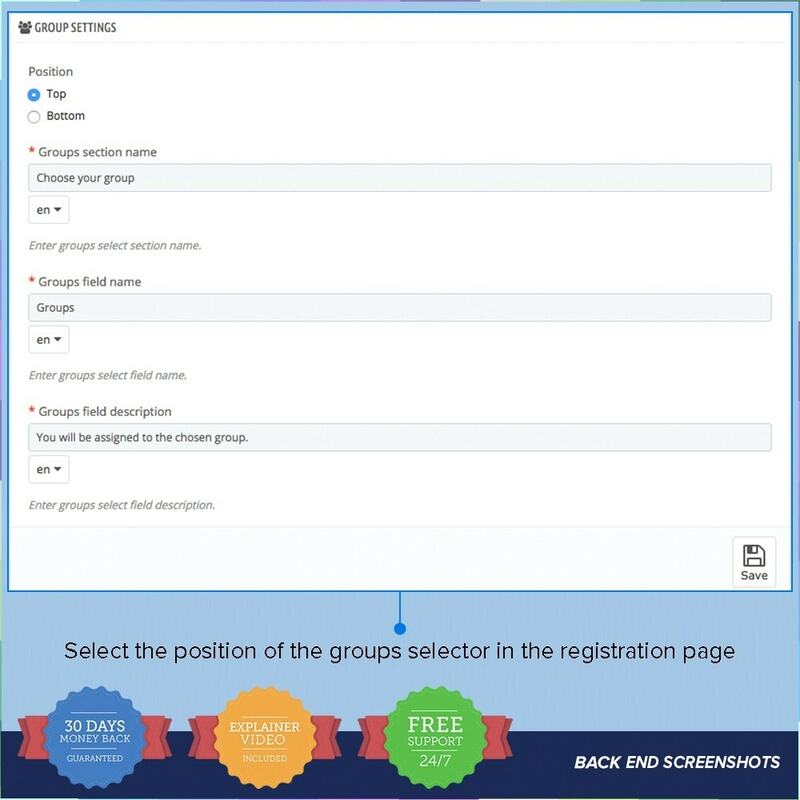 Customers will be able to select a group they would like to join even at the registration process. 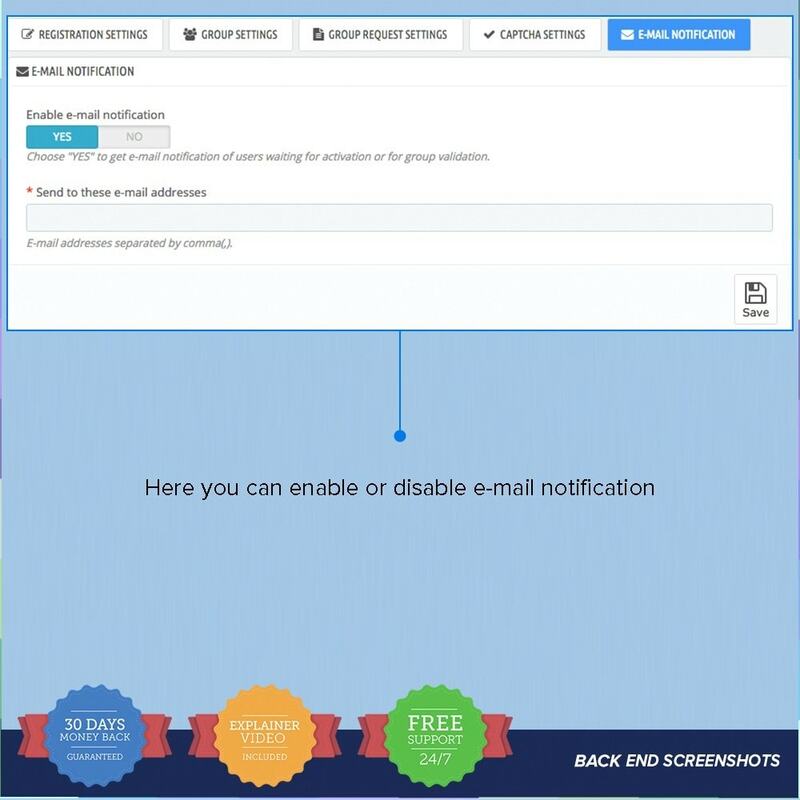 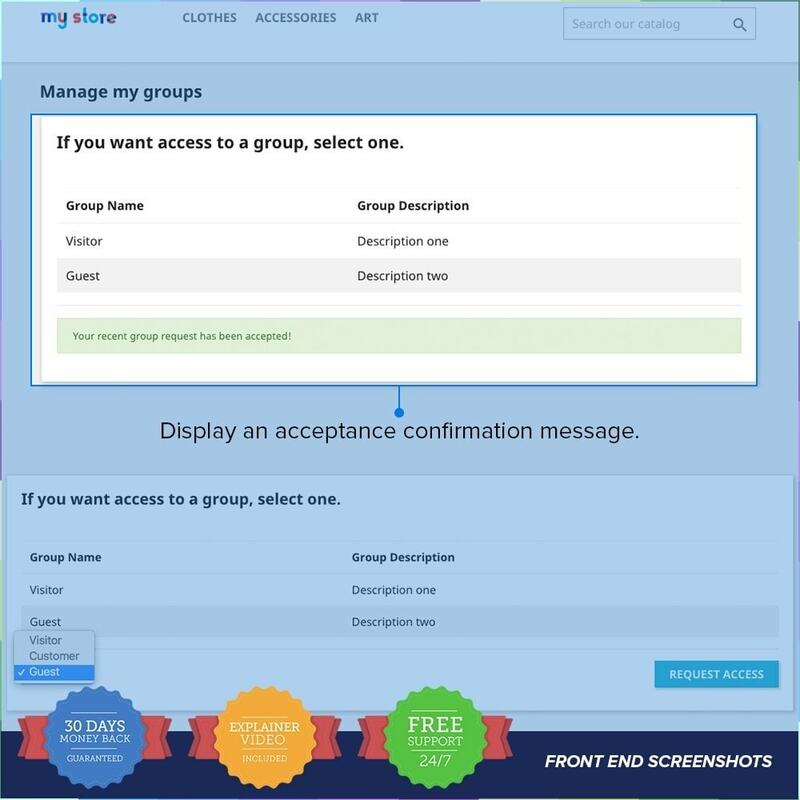 After confirming their account by email or being approved by an admin, they will be allowed to choose other groups they would like to join from the "My groups" section, of their account page. 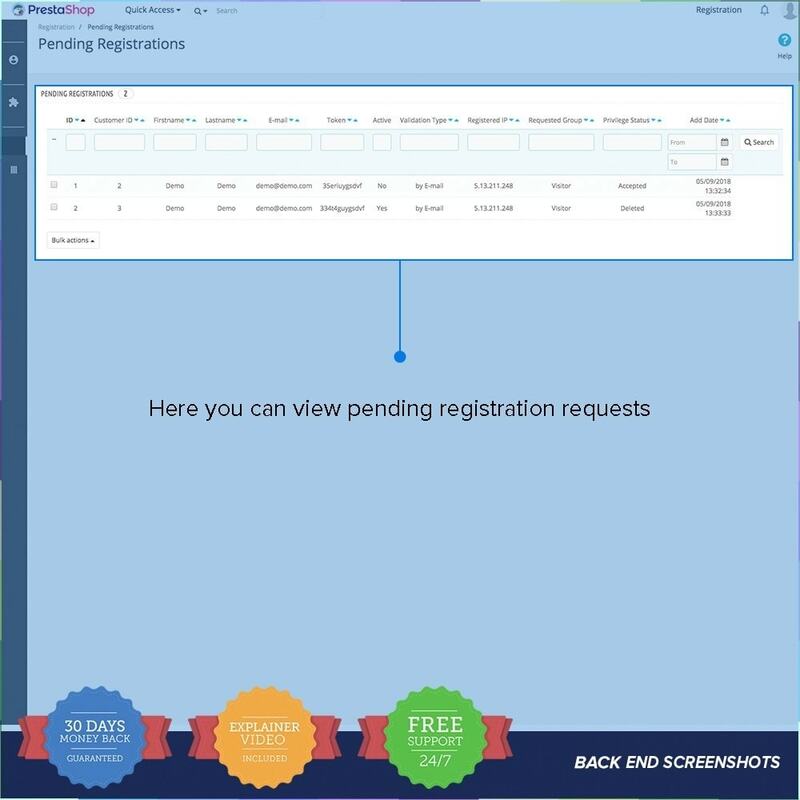 ✔ Are you having problems with the installation? 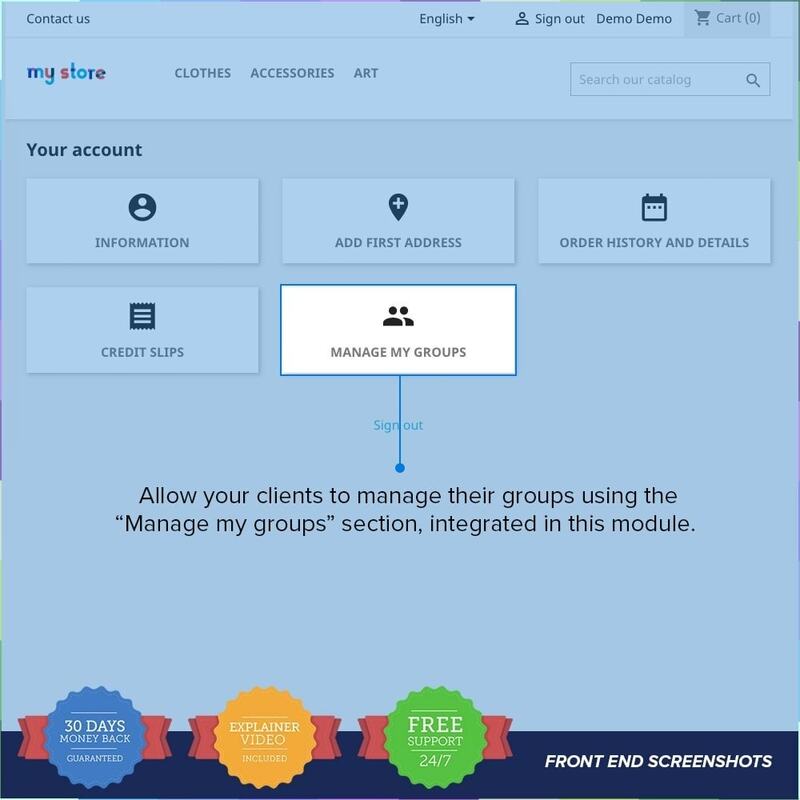 If the module advice you about override conflicts, please tell us and we’ll merge them for you. 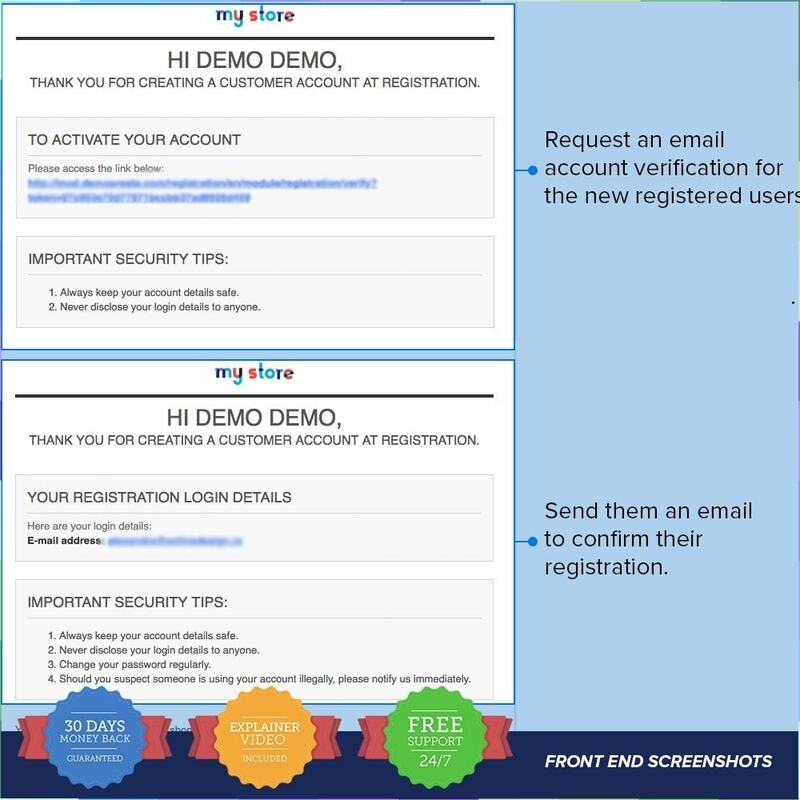 Contact us and we’ll solve the problem. 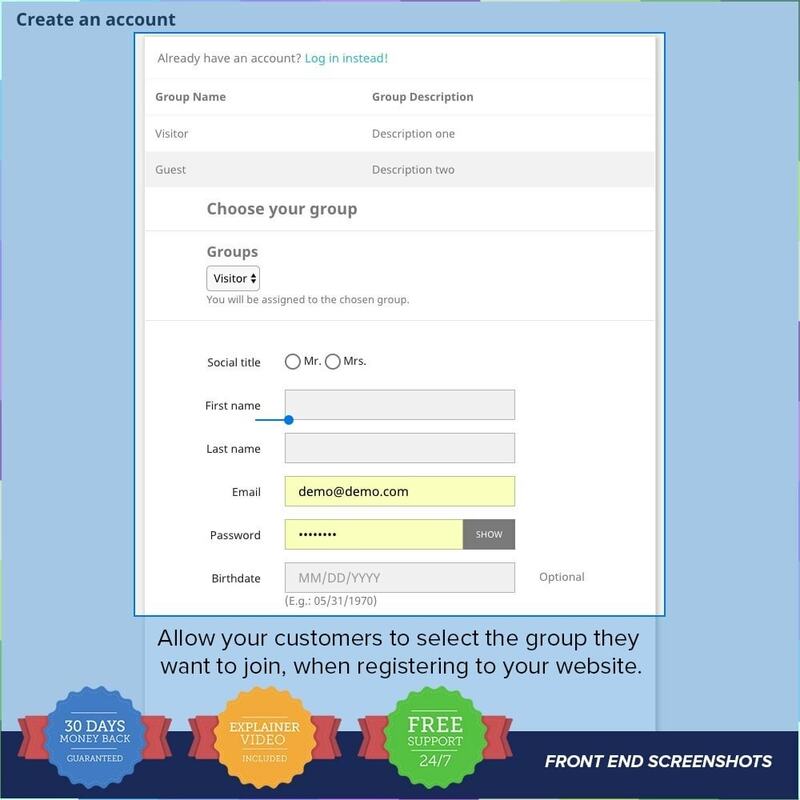 For each purchase, we provide FREE support to install and configure, and FREE explainer videos.